If we do not have enough skeins in stock or if you have a special color request, we are happy to order any madeline tosh DK (4 ply) color for you. We require a 50% deposit to preorder. This is calculated at checkout. Reqular Stock Colors (in the dropdown list below) have no minimum requirements. 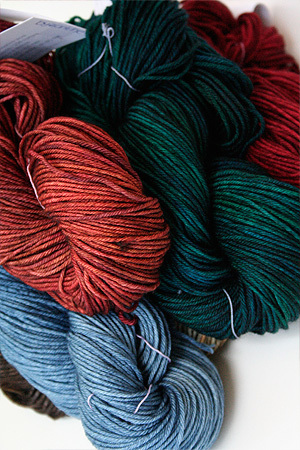 Special Order Colors (Colors we don't normally stock) - 4 skein minimum order. ALL Preorders take from 6 - 14 weeks to arrive. You will be billed the remaining cost + shipping when your order is prepared to ship. madelinetosh TOSH DK - A superlative DK weight 4 ply merino wool from Madelinetosh!